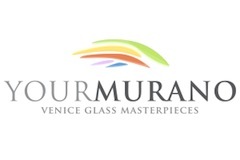 YourMurano offers the top selection of the island of Murano's finest creations, direct from the glassmakers and shipped from Venice, Italy. The exclusive luxury of an original Murano Glass creation for your home, now at your fingertips! Browse our online catalogue of 800+ Murano Glass products, ranging from contemporary design vases and sculptures, to luxurious centerpiece bowls, to exquisite goblets and vibrant drinkware for your table settings. We ship directly from the glassmakers' furnaces in Murano, each piece securely packed by experts with decades of art glass shipping experience. Free worldwide shipping, every day! Looking for a specific piece, or want a custom creation made just for you? Our glassmakers are always happy to work with your new designs and ideas: just contact us with your requests and we'll make your Murano Glass dreams come true!